With the goal of involving the public in our reforestation program, on February 10th and 11th our 4th annual tree-planting program was carried out in the Tres Bocas area of the Cerro Blanco Protected Forest. 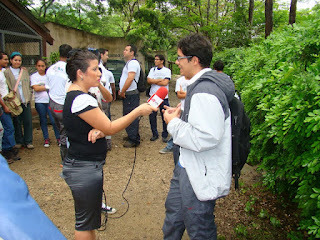 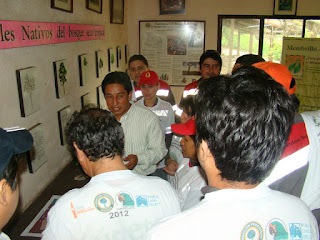 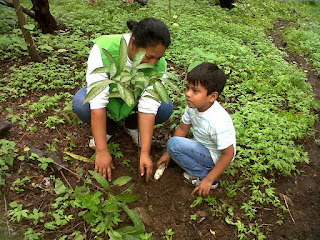 A total of 140 volunteers participated, including representatives and participants of Fundacion Coca Cola, The Nature Conservancy, Concejo Provincial de Guayas, Holcim, Pronaca, Universidad Catolica, ESPOL, Tecnologico Espiritu Santo, Universidad de Guayaquil, Club Ecologico de Puerto Hondo, etc. Before going to the tree-planting site, participants received information on the Ecuadorian Dry Tropical Forest Ecoregion from forester John Ayon as well as a demonstration on how to properly plant trees. 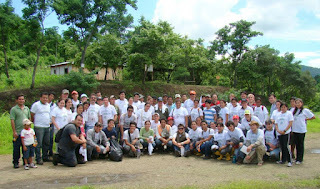 A total of 1,000 trees were planted as part of the program, which is supported by the World Land Trust.